Rhythm & Soul Dance Studio offers Recreational and Competitive Dance Classes. 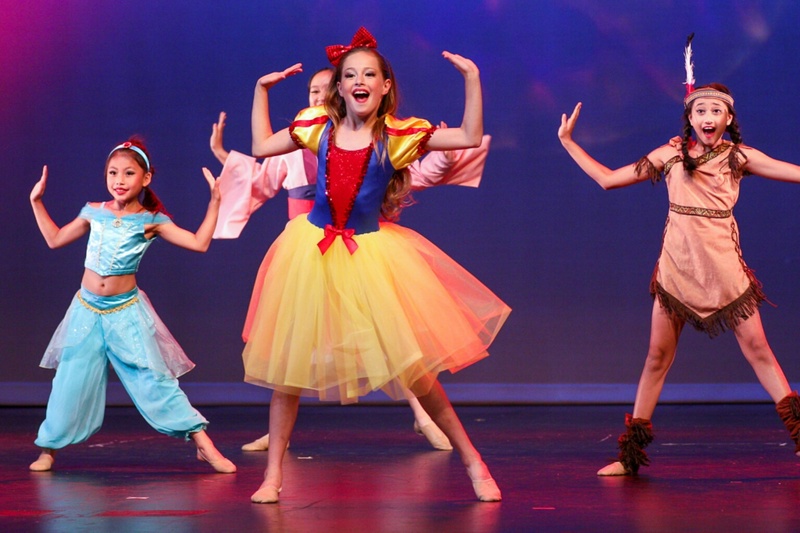 We offer a variety of ability levels for ages 3yrs-Adult in ACRO, TAP, BALLET, POINTE, JAZZ, LYRICAL, CONTEMPORARY, HIP HOP, MUSICAL THEATER, PRE-BALLET, AND COMBINATION CLASSES. You will find that we offer multiple teachers for the same style of dance, allowing you to find the best teaching style for your child! Combination classes are a great way for younger dancers to try different styles, as well as, keep them moving throughout class time. Trial classes are available from September through February. 45 min Music and Creative Movement class designed for Parent and Toddler/Preschooler ages 18 months-3 year olds. Interactive Movement Class for parent/child and teacher/child. A Great Transition for Littles who aren't ready to leave mom/dad. Musical instruments, Props, Mats, Bubbles are introduced as well as dance circuits that encourage the child to follow directions with the help of parent. 45 min Ballet/Creative Movement class designed for 3-4 year olds. Dancers will begin to learn basic Ballet technique while being introduce to spatial and musical movements. 45min or 1 hour long class targeted to ages 3-4 and 5-7yrs. 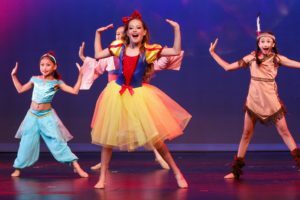 Basic dance steps are learned through fun and creative dance, especially designed for their age group. This quick moving class includes Tap, Ballet, and creative movement. 45 min or 1 hour basic intro to Jazz Dancing for ages 5-7year. Dancers will be introduced to basic jazz moves, isolations, and Wiggles! Basic Tumbling and Gymnastic Elements to enhance a dancer's ability. This style of dance stresses academic technique developed through muscle strength, balance, control, and fluid movements. A theatrical work in which a choreographer has expressed his/her ideas in dancing to musical accompaniment. Contemporary Dance is a genre of concert dance that uses methods found in modern dance, postmodern dance, as well as classical ballet. It draws on modern dance techniques including Horton, Graham, Bartenieff Fundamentals, Pilates and Yoga to gain core strength, flexibility, and energy flow. Contemporary has an emphasis on improvisation, partnering, and body awareness, allowing dancers personal freedom to explore and express oneself. Considered a Street Dance style. Hip Hop can include, but is not limited to: Pop, Lock, Funk, Krumping, Jazz, and Break Dancing. It is a very upbeat and energetic form of popular dance today. This dance style incorporates elements of various dance dialects, freedom of joint tension, and a conscious connection to space. Jazz dance emphasizes opposition, flexibility, and control of isolations. A fluid style of dance incorporating classical ballet, modern dance, and jazz technique. Lyrical allows the dancer to express his/her own emotions while interpreting the lyrics and/or mood of the music. Musical Theater or "Broadway" Dance is jazz based but is more 'character' or style focused rather than technique based. Broadway music is typically used, as well as props, singing/lip syncing to create a Musical Production. The tip of the toe. The blocked toe Pointe Shoe allows dancers to achieve great feats of virtuosity balanced on the tips of their toes. Designed only for the Advanced Ballet dancer, ages 12 and up. The style of dance where syncopated sounds are created with the toe and heel using tap shoes. Traditional, Broadway, Contemporary, and Rhythm styles are incorporated to enrich the tap dancer.